A Kids Baby Blue Rabbit Costume including a Jumpsuit, Hat with ears, and a Carrot – Ideal for Halloween, or any spooky occasion! Transform your little ones with this fantastic Kids Baby Blue Rabbit Costume. This Kids Baby Blue Rabbit Costume comes complete including a Jumpsuit, Hat with ears, and a Carrot. This incredibly cute blue plush Jumpsuit features an attached bow tie, a printed paw design on the feet, and an easy fastening system with Velcro at the back and snap fastenings around the legs. Combined with the matching hat with attached floppy ears, and the plush carrot rattle, this Kids Baby Blue Rabbit Costume will make your little ones irresistible! Perfect for an animal theme, or any cute fancy dress occasion, this Kids Baby Blue Rabbit Costume will be sure to melt the hearts of everyone! So no matter what the occasion, you’ll be sure to have a smile on everyone’s face with this gorgeous Kids Baby Blue Rabbit Costume. Available in sizes Newborn, Infant, and Toddler. 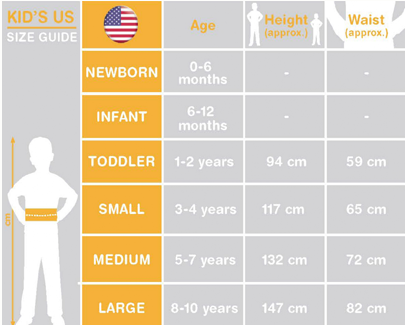 Size guidelines: to fit UK ages 0-6 months, 6-12 months, and 12-18 months. A Kids Baby Blue Rabbit Costume including a Jumpsuit, Hat with ears, and a Carrot.